Clarity in deliberate creation isn't just about going from knowing what you don't want to knowing what you do want. 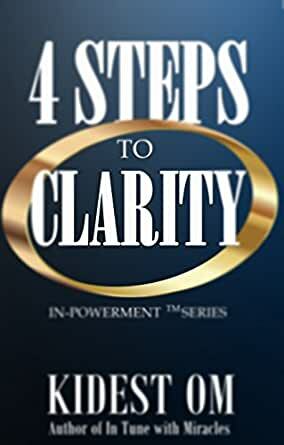 In this short IN-Powerment™ Series model of getting clear there are two additional steps - intention and decision. Add more power to your clarity by moving into intention and decision, as these states will more powerfully propel you into experiencing your desired outcomes. Learn how with this short, quick and easy guide. 5,0 van 5 sterrenAs always her books are of great value. I so resonate with these writings and of course they are always on time!!! I appreciate the simplicity of these truths and this book as in all Kidest's books are always, in all ways, consciousness expanding.